Asked by the German public broadcaster why there is “so much resistance” in Europe to the question of open borders with the third world, and why the EU has not yet “succeeded” in foisting mass immigration on countries across the continent, Juncker said Brussels has “told the member-states of their responsibility”. “We will see what the member-states do about it,” he said, proclaiming mass immigration to be a “great challenge of our age” and hinting that countries in Europe will come around to taking the same view as the European Commission. The former prime minister of Luxembourg denied DW’s suggestion that “fear is overcoming reason” with regards to mass migration, pointing to developments such as the EU Parliament’s recent adoption of changes to the bloc’s asylum system which would permanently force third world migrants upon unwilling nations. “Now it’s up to the member-states to follow the path of wisdom,” said Juncker in the interview, where he cryptically hinted there are plans for Europe and Africa to become more interlinked. The Commission president also remarked that “populists” are “dangerous”, but argued that it is “far more dangerous” when mainstream parties adopt “harmful proposals” to cut migration from outside Europe, and other conservative policies. “If the traditional parties follow the populists, they become populist themselves, which is a phenomenon we are already seeing in some EU countries,” he said. 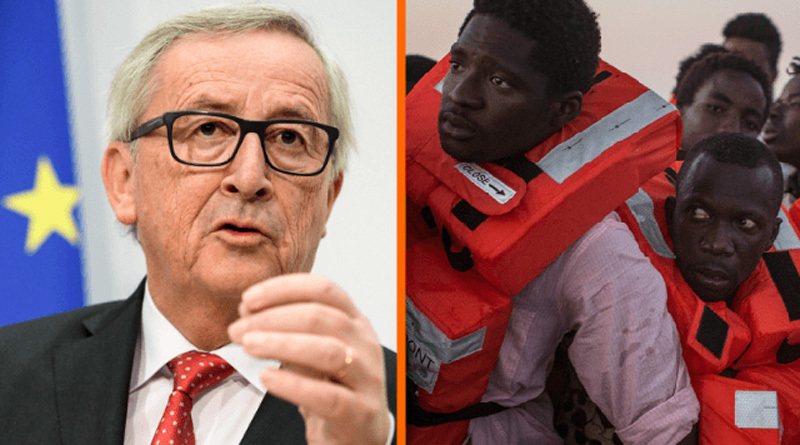 In the interview, Juncker did not expand on why Europe has a “clear need” for mass migration from the world’s poorest and most turbulent nations, but other EU figures have previously stated that the continent needs millions of third world migrants so as to combat an “ageing population”. In making this calculation, it is unclear as to whether the European Commission has thought about the fact that migrants also get older, or the effect of an ever-expanding population on the continent’s emissions, or if it has considered the impact of automation — at a time when experts warn millions of jobs will be taken by robots in the coming years. In addition, recent research from the Massachusetts Institute of Technology (MIT) found nothing to support the assertion that economies are harmed by ageing populations. “There is no evidence of a negative relationship between ageing and GDP per capita,” academics wrote in a paper entitled ‘Secular Stagnation? The Effect of Aging on Economic Growth in the Age of Automation’. “On the contrary, the relationship is significantly positive in many specifications,” it adds. With the exception of Donald Trump, the West is currently led by a cabal of the most traitorous, dishonest, devious, foolish, subversive and treasonous whores the white world has ever seen. He’s filling the void left by Barbara Spectre’s absence. I shall see that some harm comes to him. Look at all those future doctors, teachers, and chemists there!